Via Broadsheet, I recently read an interesting article by Karen Heller about the covers of books for women, and how they tend to feature “disjointed body parts” — backs, arms, legs, feet — without faces. The thinking, or so I imagine, is that readers will look at these women’s body parts or backs and identify. “Why that’s me!” or “That looks just like my old friend Susie!” In other words, they think we’re stupid. 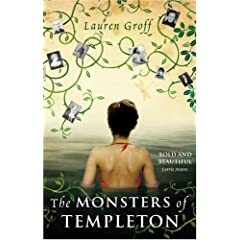 Those kinds of covers are usually a turn-off for me, but out of curiosity I turned to my trusty GoodReads to find the best and worst covers of books I’ve read lately. Ian McEwan’s Atonement features an entire little girl sitting on some steps. The cover of Tom Perrotta’s Little Children catches your eye immediately. … but the next printing featured — the back of a woman’s head. Another silhouette cover — this is probably my favorite of all the books I’ve read in 2007-2008!